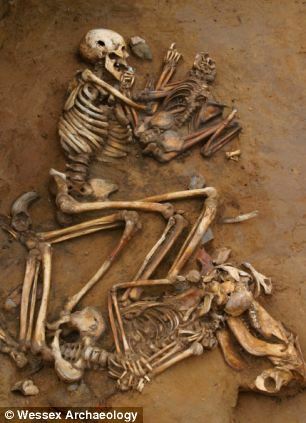 A 3,000-year-old burial site has been found to contain the remains of migrants from as far away as Scandinavia and the western Mediterranean. Archaeologists conducting a study of Bronze Age residents found three distinct groups in the burial pits at Cliffs End Farm, near Pegwell Bay, Kent. Using analysis of oxygen and strontium isotopes in tooth enamel the researchers found while one group had been born locally, the other two groups came from much further afield. A total of 25 people, aged between 6 and 55 at the time of their death, were found in the pits, according to The Times. The isotopes, which are derived from drinking water, can be used to identify where the individual was living at the time their tooth enamel formed. The researchers found a group of nine spent their lives in the local area, while eight were believed to have been born in what is now southern Norway or Sweden. Another five came from the western Mediterranean, possibly Spain or even North Africa. 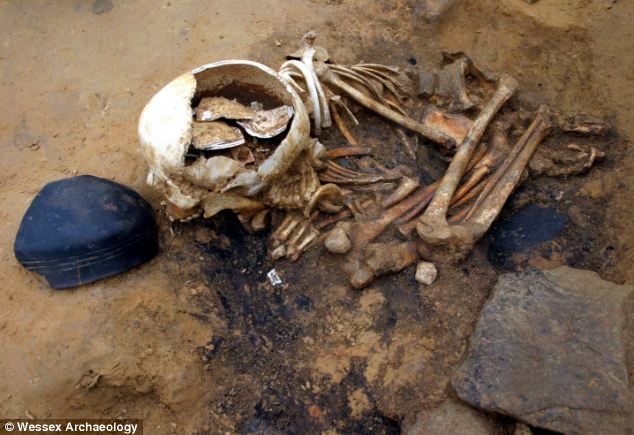 Mr Pitts said the site at Cliffs End Farm was unusual as the majority of Bronze Age burials were cremations. The burials at this site however, which range from the early Bronze Age to the middle Iron Age, a period of 900 years, had seen people buried with animals in carefully posed positions. One woman, in her 50s, is thought to have been a 'willing sacrifice', killed by sword blows to her head.